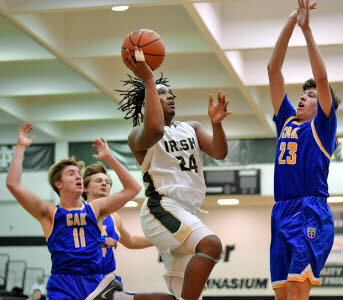 Notre Dame’s C.J. 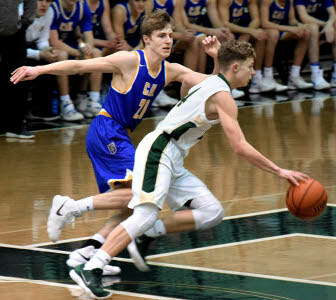 Greer pressures CAK’s Chase Bristow. 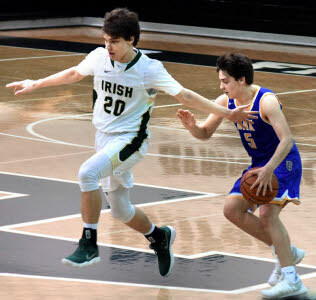 Notre Dame’s Nolan Corbitt moves to stop a CAK advance. 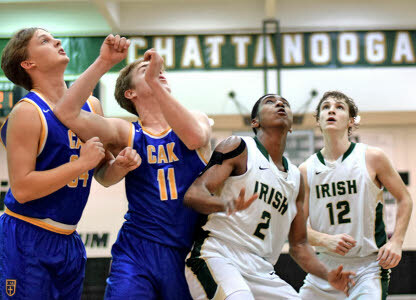 CAK’s Andy Pryor backtracks to get around Notre Dame’s Cal Price. 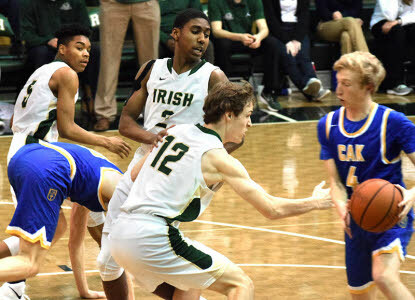 A CAK drive to the basket gets past Notre Dame defenders. 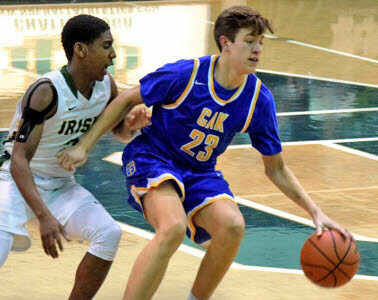 Joey Cochran drives past CAK’s Jason Ozmert. Notre Dame’s C.J. 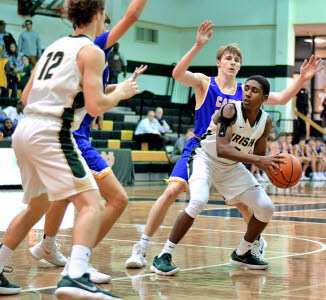 Greer looks for an opening. C.J. 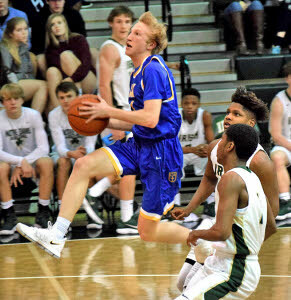 Greer and others watch for his shot to fall. Akil Sledge of Notre Dame gets an inside shot.